Mental illness is such a waste of time! People are out there accomplishing brilliant things while I sit at home and cry. People are out walking, talking, working, creating, exploring while I sit at home and have anxiety and panic attacks. I had so many plans to do so many things, but since early September, everything has gone wrong. I’ve been in a mixed phase, meaning elements of both mania and depression either at the same time or alternating one after another are present. This one was not as severe as past ones have been, at least I can be thankful for that. But again, it has stolen my life, my time, my peace of mind, the faith that I am me and will always be me, the belief that I am capable of doing what I set out to do. In this state, I am not me, I cannot accomplish what I wanted to. It’s hellish, and intolerable. However I feel that I am coming out of it, of course it’s one step forward, two steps back, but I’ll take it. I don’t understand why it hit me so hard this year… well I guess I do… too many traumatic things happened. Anyway, feeling more like myself, and have less anxiety. Thank goodness! Onwards and upwards. ← Is Depression an Immune Illness? Day by day is sometimes all you can do. Onward and upward indeed, don’t forget to acknowledge your little victories and achievements along the way. I am so sorry you are going through this right now. I understand what you mean by losing time and hating it. I feel like I was so sick for such a long time and probably lost 15 years of my life because I was not the real me…. just a shadow carcass of myself. So, just to somehow give any resemblance of something positive about the time I lost, I say I am actually 15 years younger than I really am. I do feel younger than I am because sometimes I feel very immature and maybe I really am because I was really gone for many years of my life. I am finally back but have had to come up with a new identity of myself. The old self died. Welcome to the new me. I have mixed episodes too. They are awful and are the worst and most dangerous symptoms of Bipolar Disorder… not to be negative but just speaking the truth of facts regarding that issue. Remember how strong you are living, surviving and thriving through this season of the illness. You are going to come through this. 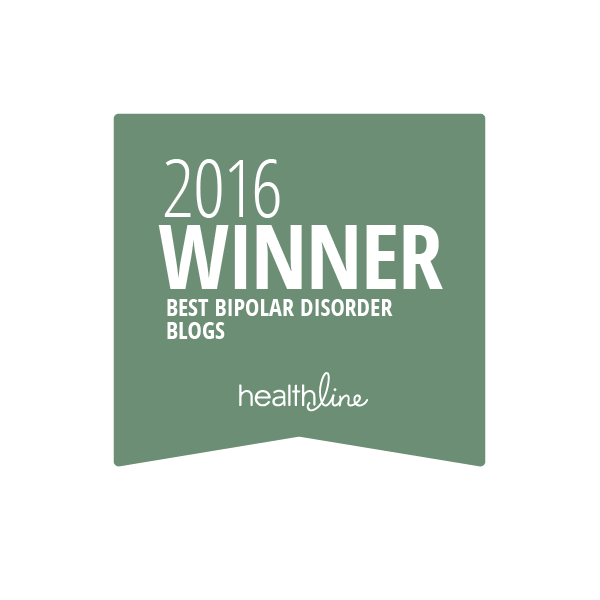 You are a very strong survivor of Bipolar Disorder. Huge hugs to you from across the miles. May blessings overflow your body with atrong feelings of peace joy and love. Thank you so much….. that was my past and I try to live for this moment and today and tomorrow….. I try hard not to look back at my past….. today is and was a good day and this very minute is good….. that is all I know right now. I hope your today will be a good one very soon. Takke care dear!!! I can not get over it. Others who lived through the same unfulfilled years upon years I have. Thank you for your words. Why have I never know I could get support by reading thoughts from other suffers? Well here you are now and I welcome you. Hugs. Well now you know that we are here. We are all here together joined by a strong bond holding us together and supporting each other with word and sometimes the unspoken word and language. We understand from living through familiar painful experiences and struggles.and give each other much love encouragement and familiar stories that help all of us. We are a large beautiful strong community of Bipolar Survivors. Welcome to our lives and blogging community and stay with us and keep us posted on how you are doing. We are here for each other.as a team of survivors. You are strong. You are surviving right this very second so do not ever forget how strong you are. I think I’ve been going through a mixed phase also. I really don’t know how to deal with it because it’s not one or the other. You’re very courageous, and I’m happy to hear you’re getting through it. Thank you for sharing, I really find these kind of posts very helpful. Finally, I now know someone else knows what I feel like most of the time. 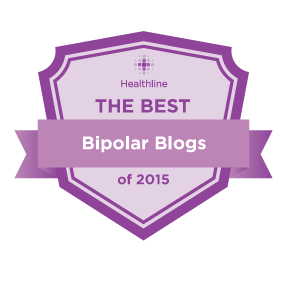 This is the first time reading other bipolar suffers thoughts, and feelings. When you describe the mixed phase, I thought that’s what I am currently going through. This is the first time I have been on the mixed phase version of my crazy mind. I have always been way up or down. The down, the older I get is my most constant companion. I have been, for the third year running out from work on medical leave. The company I work for ( FREEPORTMCMORAN COPPER and Gold ) is very good about helping it’s employees with metal illness. The Hartford Insurance company has been great with me. I get so much support from my superiors, peers, and even some of the employees l supervise at work. They profit from my years of knowledge and expertise in my field. I have always been open about my condition, and we have over my 26 years working alongside my co-workers, built up a lot of trust. My most trusted co-workers know what state of mind I am in as soon as I come to work in the morning. They will very delicately let me know when I am acting improperly. They harness my pressure speech anxiety during meetings, and enjoy the way I can make everyone laugh at will, or come up with a analogy to help others understand some of the complex ideas we go over in our technical meetings. I do not get this support from my family. I know that they have had to endure the hateful things I have said during my rage’s. They have been embarrassed by the improper things that I am compelled to loudly say ( the more outrageous the greater the uncontrollable urge to say it ) to people. I get it. All I ask is for them to research bipolar disorder and learn about it. I would think after being around me so many years they would at least be curious. They refuse, with the explanation that I just want to make excuses for the way I act. My family has always told me that I use my bipolar condition as an excuse to behave badly, then hide away in my room for weeks at a time, so I don’t have to deal with anything a good husband and father would be taking care of. I know I have been ranting too much. I would like anyone out there to let me know if they have been through anything like what I have described with my family. I would love to hear from anyone who has anything to say to me that would help. I know I am not alone anymore after reading this blog. I would like to correspond with others in the same boat. Thank you for reading my comments. Just knowing I have written something that others who know what I have gone through might read, makes me feel better. From the man that lives alone in the small house, behind the big house his family lives in. I’m late commenting this week on all the blogs I read; my apologies (although I retweeted this post – I’m better when it comes to Twitter! 😉 but I hope with all my heart you’re feeling MUCH better tonight and that you have a good weekend.